It also makes a pleasant and fragrant household cleaner and air freshener. It is delicious when used in recipes for cooking and baking. Drinking essential lemon water or tea, on a regular basis, can bring noticeable improvements to the skin. It is exceptional for supporting the the health of the lymph system, stomach, liver, gallbladder, pancreas, and spleen. Uses: Healthy throat support, immune support, skin cleanser, cooking, baking, household cleanser, and air freshener. How to use: Lemon essential oil can be taken internally, diffused, inhaled or applied topically. Important Note: The only oils we endorse for internal use are from Young Living. Young Living has the highest quality "Therapeutic Grade" Essential Oils. Oils from other sources may pose a risk to your health. Lemon Tea: Add a cup of warm water to one drop of lemon essential oil. You can also mix the lemon oil with some honey before adding the water. This is a great way to start your day. Wait 15 minutes before eating food. Drinking water: Add one drop to a 8 oz glass or 2 drops to a 16 oz bottle (not plastic) of water. Mix. Dr. Daniel Penoel’s Recipe’s from his book "Life Helping Life"
In an 8 oz glass, add 1-tsp. of fresh, organic lemon juice and 1 drop lemon essential oil. Add pure water and stir. Drink 5-6 glasses from the moment you wake up to 1 hour before lunch. Eat a healthy lunch at 1:00 p.m. 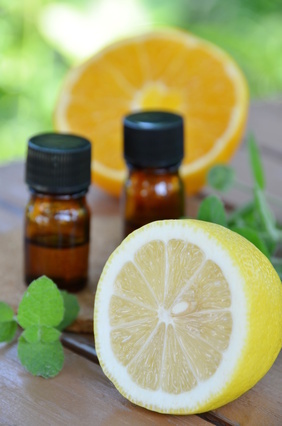 Lemon and Tea Tree Essential Oil Blend: In a cup place eight drops tea tree oil and 5 drops of lemon oil. Add warm water and drink as a tea. Wait for 15 minutes before eating. You can follow the above directions and drink 5-6 cups before lunch. For occasional nausea/vomiting/dizziness associated with motion: Place 1 drop lemon essential oil on a tissue or handkerchief and crumple. Make sure the oil does not directly touch the nose or face. Breathe in the essence. Repeat as necessary. Mental Clarity and Creativity: Inhale directly from bottle or place one drop in palm of hand and inhale. Do not touch nose or face. 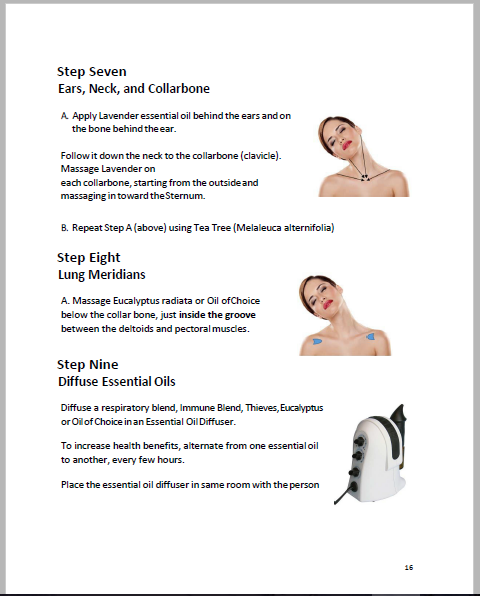 Essential oil diffuser: Follow diffuser directions to disinfect and dispel odors. Spray Bottle: Add 1 drop per 1/2 ounce to the bottom of a spray bottle. Add water. Shake vigorously. Mist the air to purify and dispel odors. Cotton Balls: Put lemon oil on cotton balls and place in home or car vents. Laundry: 25 drops of lemon oil to a load. This also eliminates unpleasant odors from rugs and clothes, such as perspiration, petroleum and cat urine. Carpet: 25 drops of lemon oil per gallon of water in a carpet shampooer.You can also put 12 drops in a small spray bottle, add water and spot sanitize. Stains: Works well in removing gum, grease, and oil. Cooking: Lemon essential oil can be added to food and used for flavoring. 1-2 drops is usually all that is needed. Taste test as you add it because it is highly concentrated. Use for salad dressings, cakes, frosting, pies, puddings, flavored honey. Insect repellant: Mix a few drops with vegetable or carrier oil and apply to skin. Keep out of eyes. Lemon oil is very “Photosensitizing.” Do not go into direct sunlight or expose skin to UV light (tanning bed rays) if oil has been applied to skin. It can cause pigmentation. Wait at least 72 hours. Dilution is recommended for topical and internal use. Dilute for use on sensitive areas such as face, mucus membranes, or genital area. Disclaimer: These statements have not been evaluated by the Food and Drug Administration. This product is not intended to diagnose, treat, cure or prevent any disease or condition of the body. This information is for educational purposes only. This information should not be used in place of medical counseling. We accept no responsibility for such use. 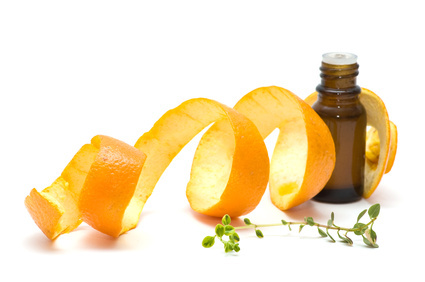 Discover essential oil tips that you can use. Clever and smart ways to save time and money.